Blarney Castle is a medieval stronghold near Cork City and the River Martin. While the original stone structure was built around 1210, the current structure dates from around 1446. 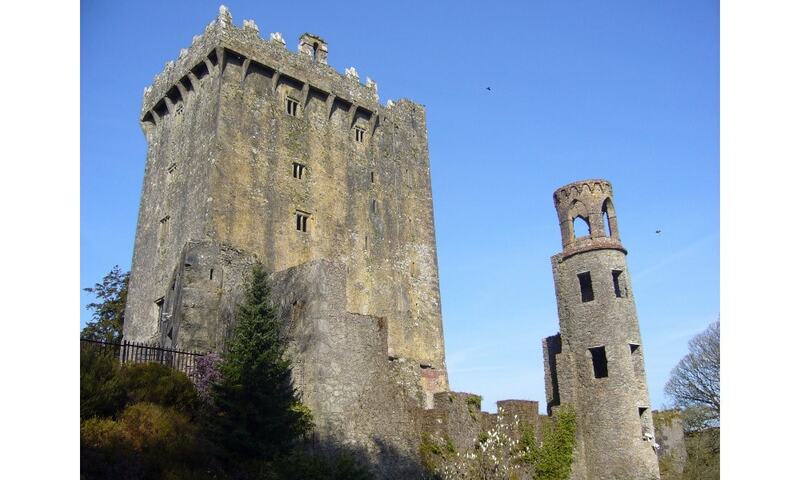 At the top of the castle lies the Stone of Eloquence, better known as the Blarney Stone. Tourists visiting Blarney Castle may hang upside-down over a sheer drop to kiss the stone, which is said to give the gift of eloquence. There are many versions of the origin of the stone, including a claim that it was a numinous stone upon which Irish kings were crowned. The grounds include a poison garden with a number of poisonous plants, including wolfsbane, mandrake, ricin and opium, as well as cannabis.